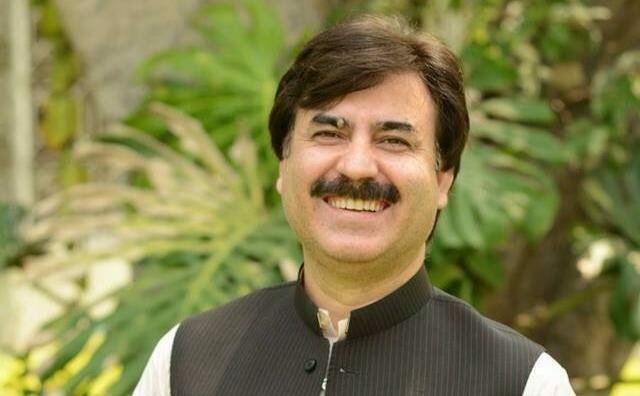 ISLAMABAD: An anti-terrorism court (ATC) on Tuesday issued non-bailable arrest warrant for Khyber Pakhtunkhwa Information Minister Shaukat Yousafzai for not appearing before the court for hearings of the cases pertaining to attacks on Pakistan Television (PTV) and Parliament House in 2014. The court directed authorities to arrest Yousafzai and present him in court. Meanwhile, ATC in Islamabad issued non-bailable arrest warrants for 26 Pakistan Tehreek-e-Insaf (PTI) workers. The court also approved requests for exemption from hearings filed by PTI leaders Shah Mahmood Qureshi, Jahangir Khan Tareen, Asad Umar and Shafqat Mehmood. During the next hearing, the court will hear arguments on President Arif Alvi and Prime Minister Imran Khan’s acquittal pleas in the cases. The hearing of the cases has been adjourned till March 28. The ATC is hearing two cases – attack on the state television building and Parliament – against Pakistan Tehreek-e-Insaf (PTI) and Pakistan Awami Tehreek (PAT) leaders. On September 1, 2014, hundreds of men, allegedly protesters from the Pakistan Tehreek-e-Insaf (PTI) and Pakistan Awami Tehreek (PAT) camps, had ransacked the PTV office, Parliament premises and brutally beaten up Asmatullah Junejo, less than 24 hours into his first day on the job as SSP operations. Imran Khan, PAT chief Tahirul Qadri and several others were booked over their alleged involvement in the attack during the 2014 sit-ins in the capital. The PTI chief had pleaded the court to transfer the cases to civil court, however, the request was rejected on December 11, 2017.